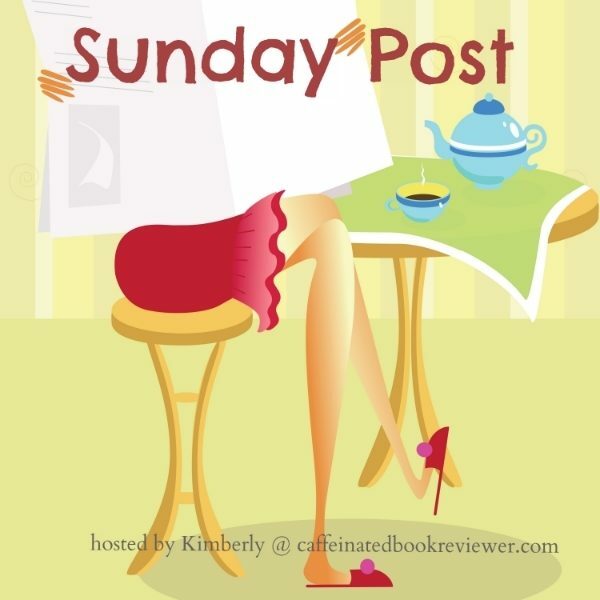 The Sunday Post is a weekly meme hosted by Kimberly @ Caffeinated Reviewer. It’s a chance to share News. A post to recap the past week, showcase books and things we have received and share news about what is coming up for the week on our blog. This is your news post, so personalize it! Include as much as you want or as little. Be creative, it can be a vlog or just a showcase of your goodies. Link up once a week or once a month, you decide. Book haul can include library books, yard sale finds, arcs and bought books..share them! Feel free to copy and use my Sunday Post image.